Hi Dan - I notice it's been a while since you did this post, but I was just looking up articles on the +1 phenomenon for ads. 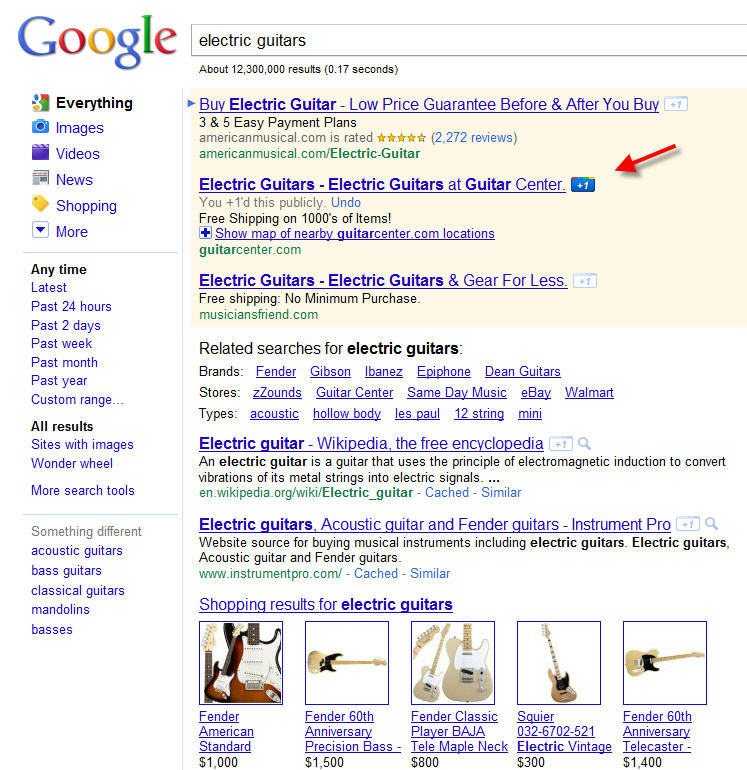 I know that +1s help in the free SERPs substantially, but I can't find much on the PPC side. Personally I've never +1'd an ad. I imagine it'll be mainly search marketing companies +1ing rather than consumers, but time will tell. Cool first time that I have seen how Google plus looks.. Thanks for showing us. Great blog! Early in 2011, Google rolled out its "+1" initiative, which allows a social media component to searching the Web. With "+1" enabled, a Google search shows you the recommendations of your friends in Google Buzz and gives you the ability to click a "+1" button next to search results that you recommend, so that your friends can see the websites that you like.